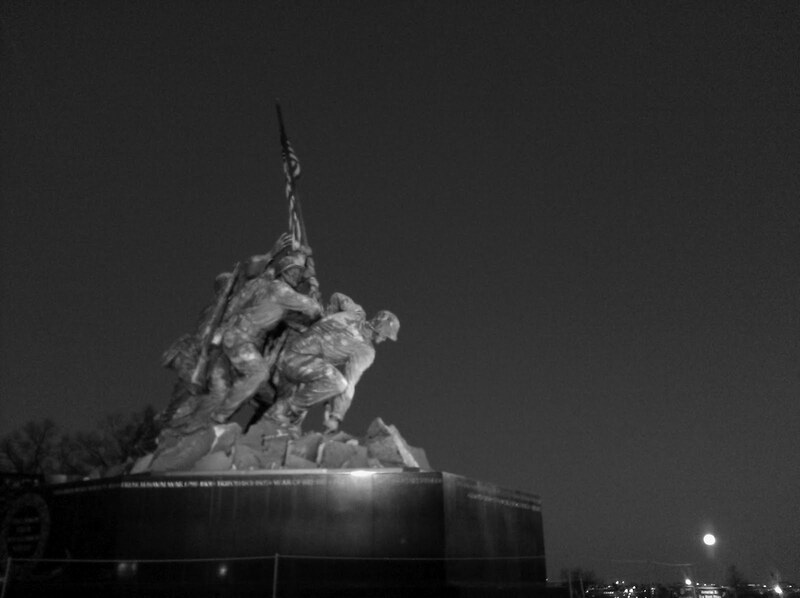 Continuing on my theme of grabbing snapshots on my run, Dave and I ran through the Iwo Jima memorial last night. 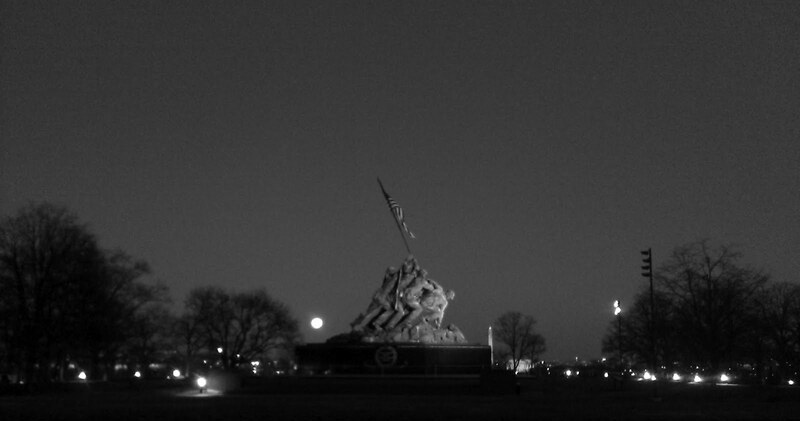 The full moon was hovering perfectly over the DC skyline. In fact, as we approached the Netherlands Carillon, we noticed what must have been 25 photographers set up—tripods and long lenses—attempting to capture the shot. All I had with me was my camera phone, and we were already running late. 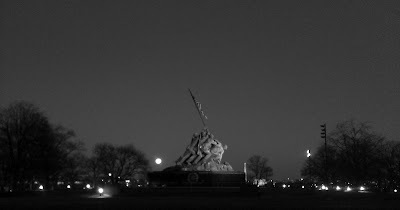 So, I grabbed a few shots of the Iwo Jima memorial, and promised myself I'd come back another time to catch the view. Seriously, watch moonrise from Netherlands Carillon needs to be on your must do list. It really was breath taking (or maybe that was the 5 miles of running we had done to get there? ).